Pinterest is poised to launch e-commerce on its US site in a move that many believe could transform social shopping. The image-sharing platform is well-positioned for online retail as its followers already post pictures of goods they aspire to own. "It is really worth watching out for," Tim Pritchard, the head of social media at Manning Gottlieb OMD, says. "The benefit of the platform is that there is a really obvious path to purchase as people tend to pin things they want to buy. It is distinctive around certain passion points – homeware, fashion and food are the biggest ones." Buyable pins are expected to launch in the UK after the US roll-out and the London office is already working with a select group of retailers to build its presence in preparation. Pinterest has more than nine million unique users in the UK, according to comScore figures for April. Two-thirds are female and more than half of all visits come from smartphones. The "buy it" button allows users to purchase items using Apple Pay or by providing their credit card details, which will be stored. Promoted Pins were introduced in the US at the end of last year. Pinterest says brands can buy these ads and insert buyable pins into them. The site will not take a commission on sales, profiting solely from the advertising. MG OMD has collaborated with Pinterest in the UK for Waitrose. The agency built on the "breakfast club" campaign with Promoted Pins that featured healthy breakfast ingredients. The "all about breakfast" tag ran as a featured item in Pinterest’s home categories and e-mails were sent to followers. Rupert Ellwood, the head of marketing at Waitrose, says: "Pinterest is proving to be an effective channel for us to share recipe inspiration with consumers. Working directly with the team at Pinterest on specific content campaigns has enabled us to grow our presence on the platform and reach new users interested in food and drink." Pinterest has built up a strong affinity with retailers. It claims that 87 per cent of users have bought items they found on the site and two-thirds of pins are from brands. Alice Aldridge, the lead planner at Deep Focus London, says Pinterest should be able to avoid the accusations of "selling out" often directed at other social networks. "What’s different is that Pinterest has organically built very strong links with retailers," she says. "It is all about discovery and inspiration. Brands have been welcomed by users. So it is a natural progression." In addition, Aldridge believes combining the "buy it" button with advertising will provide return on investment metrics – something that In­stagram has struggled to do. She points out that none of Deep Focus London’s clients are running paid advertising on Instagram: "We looked at it initially for a few clients but the costs were prohibitive – they couldn’t justify the expense because there was no proven ROI model." As with any social network looking to monetise its popularity, the danger is taking commerce too far. It would be a shame – and self-defeating – if Pinterest turned into a giant sales catalogue. 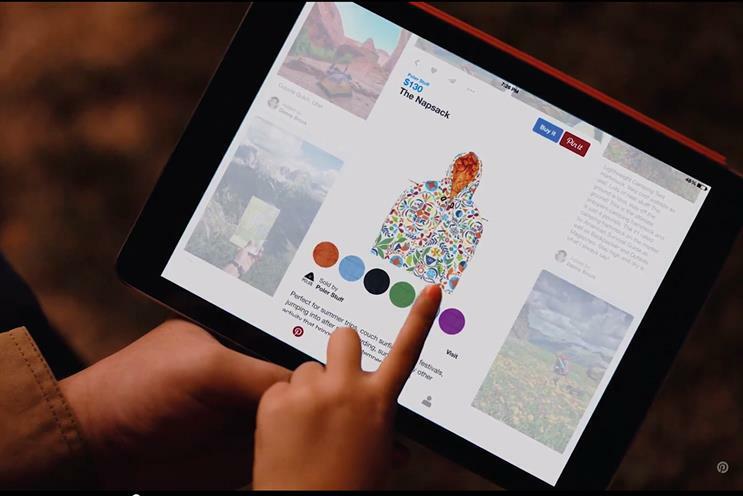 Pinterest must not depart from its mission of inspiring creativity in order to justify an $11 billion valuation, following a round of funding in March.